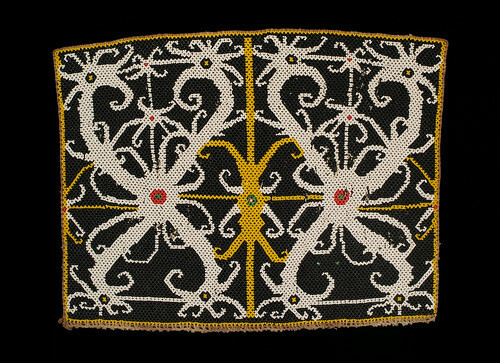 Bead Panel, Ngaju people. Borneo 20th century, 33 x 26 cm. From the Teo Family collection, Kuching. Photograph by D Dunlop. and the two photons have symmetrically opposed wavevectors. They are mostly the same as each other, but moving in opposite directions. Next step: characteristics of photons.